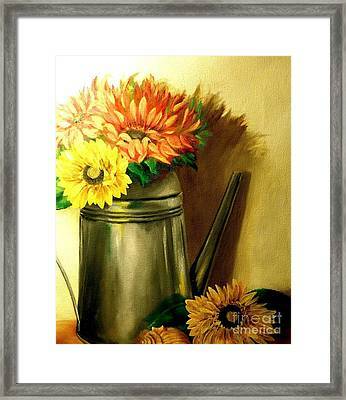 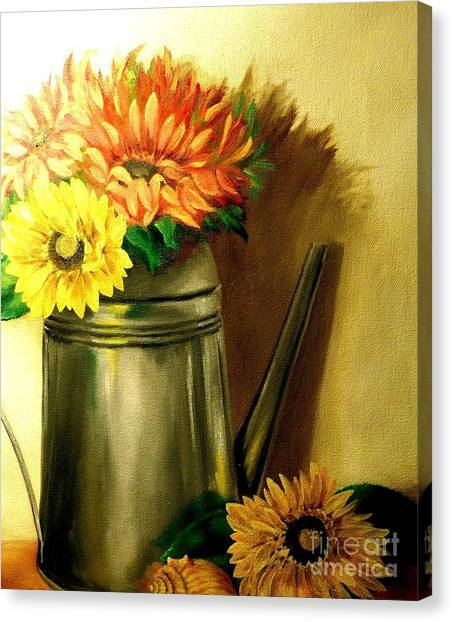 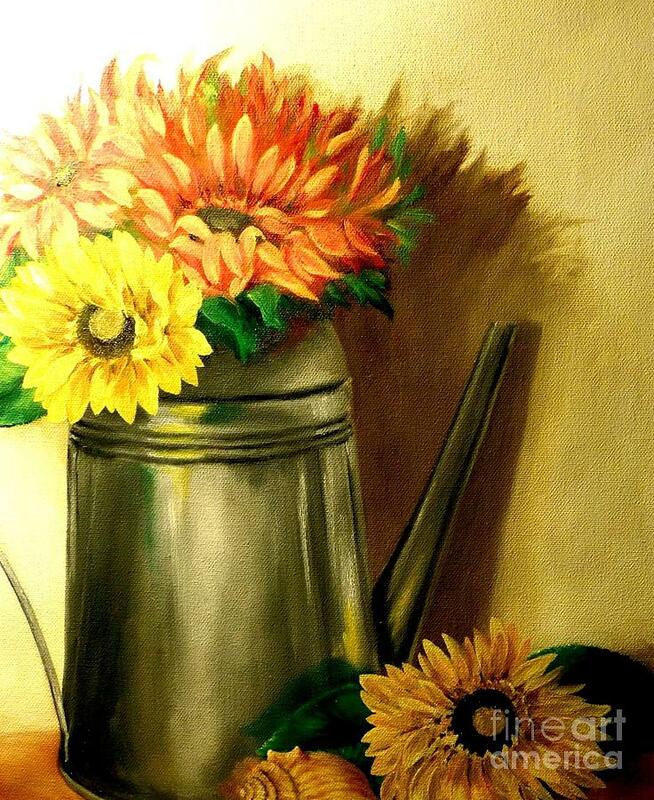 Sunshine In A Can is a painting by Patricia Lang which was uploaded on September 12th, 2015. 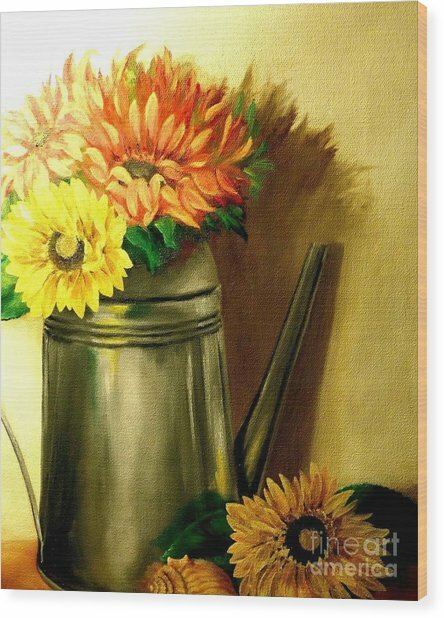 The Still lie Sunshine in a can was inspired by the beautiful sunflowers, which I positioned in a tin watering can. There are no comments for Sunshine In A Can. Click here to post the first comment.